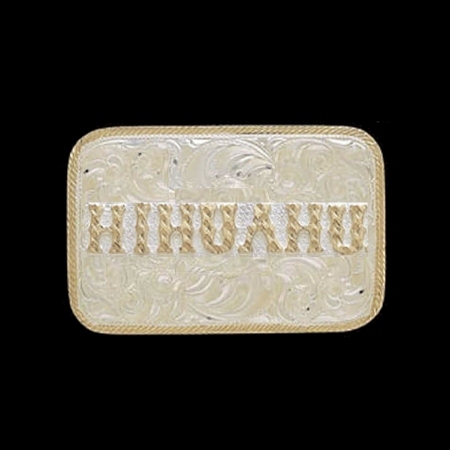 MF-CE0102-NAME Silver Plated Name Buckle - Rectangular - 2-3/8" x 3-3/8"
Letters and Numbers are 1/2" high minimum for 7 Letters. The letter height will increase when less letters than 7 are chosen. Letters and Numbers are placed diagonally across the buckle. 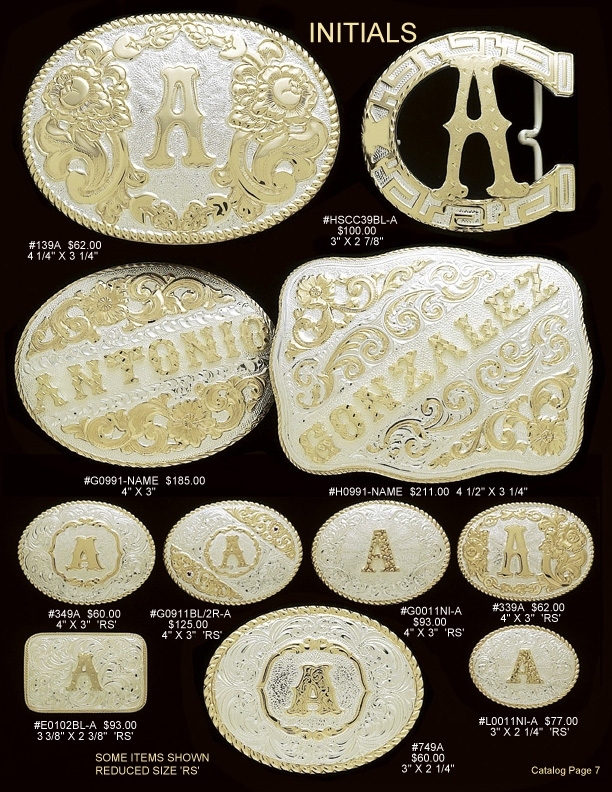 These buckles are Custom Order and delivery is 8-10 weeks. 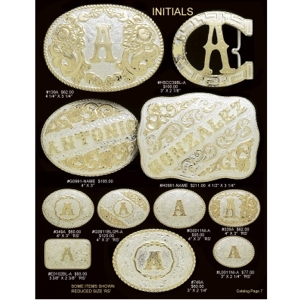 ​Place in the "Letters or Name" Text Box, the Letters or Name and/or Numbers that you want placed onto the buckle . Up to 7 Characters maximum. From the "Letters" drop down box, choose the total number of Characters that were placed in the "Letters or Name" Text Box to determine the final price of the buckle.